Is there a place where you can go to find the perfect gift? Is there a place where it is Christmas-time year-round? Is there a place where anything can happen and toys come alive? Of course there is! 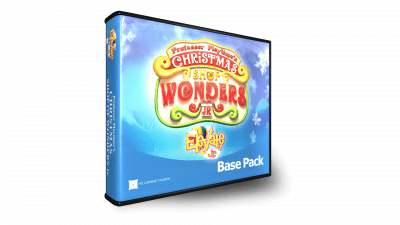 Children ages 6-12 are invited to Professor Playtime’s Christmas Shop of Wonders, where the professor will help them understand the true meaning of Christmas and experience this holiday through the eyes of people who were actually there! So bring your carols, your wrapping paper, and as much jolliness and cheer as you can carry! 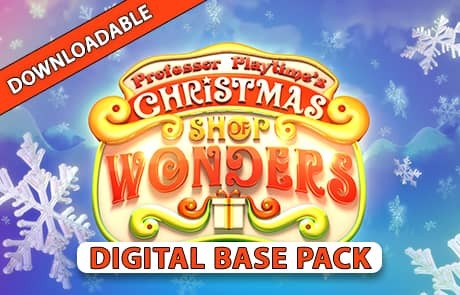 Because Professor Playtime’s Christmas Shop of Wonders is open for business! The digital series is in Media Shout® 5 and ProPresenter® 6. 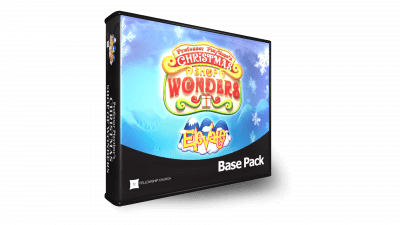 Looking for instrumental versions of the Christmas Shop of Wonders songs? Contact us at 972-471-6876 or info@elevateatchurch.com. The children will learn that even though we will face difficulties, we can still have courage because God has a plan for us. The children will learn that we should encourage other people with our words and actions. The children will learn that we should stick with and help people who are following God’s plan. The children will learn that Christmas is a time for joy and the good news of Jesus’ birth should be shared with other people. The children will learn that when we wait, we should do so patiently. The children will learn that we should focus on Jesus instead of ourselves. Selfishness only causes problems. The children will learn that we should honor Jesus by always giving our best. The children will learn that the reason Jesus was born was so He could take the punishment for our sins so we could be forgiven.